It was a rainy, humid day, 1496 days into my time in cubicle prison. I still had 5 months before I would leave to launch my new life. Today they had me painting buildings along with about 20 others at the bottom of the food chain. We stood with paintbrushes in hand under the steely eye of the prison guard, Jessica Smith. Nothing escaped her aviator-clad gaze. She paced back and forth eyeing us as we worked. I could feel her breath on the back of my neck as I painted. She gave the term watching paint dry a wholly new, more stressful meaning. I get paid the same whether I’m crunching numbers or painting walls. I have nothing against a good day’s work, but the wastefulness of using $50/hr labor to do a $10/hr job was difficult to bear. Although I must admit it was a barrel of laughs having terminator the painter fixing her red laser eye on my every move, I had a lunch meeting to attend, and stole away the first chance I got..
Yellow rays of light fell on my back as I made my way to my truck. The blue sky sung with the harps of angels as I drove off. On this Friday, I planned to grab lunch with a new friend and potential business partner. We chose a sports bar with a monster, double-decker burger that towered about 8 inches off the plate (they stacked it with 6 onion rings and drenched it in an savory, thick, creamy sauce… but I digress). After a vane attempt to stuff the 8-story burger into my mouth and managing to cover my hands in the savory sauce, I got to the question that I wanted to ask. I’d heard this line of thinking before. “How much experience working at this job do you think is enough?” Inside I cringed waiting for the answer. Before I could say anything else, a grayish-green arm grabbed him around the neck and dragged him off as he looked complacently onward. I reached out to save him but the scent of rotting dreams told me it was too late for him. That was the last time I talked to Jeff. After that the infection took over and ravaged him. His corpse still roams the government building three streets down from Center Ave.
Not all the good ones make it. 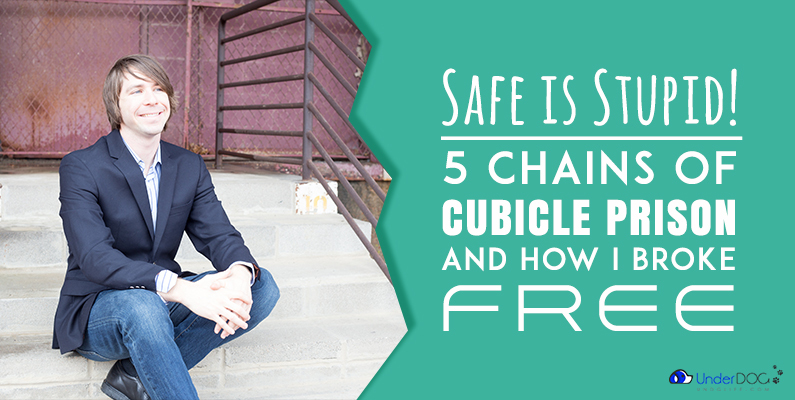 Below I discuss the chains that keep people like Jeff in cubicle prison at jobs they hate. The links for the chains are mined in our formative years. The verbalized fears of teachers, mentors, friends and family become the iron we forge inside ourselves to hammer out and smith the chains. Their words sink deep and codify into limiting beliefs of steel. Unchallenged, limiting beliefs chain us to our cubicle walls where the undead infect us with the zombie careers we hate. By this I mean safety in the sense of accepting society’s suggested default assumptions comes from a lack of critical thinking. I believe the biggest mistakes you’ll make in your life are the mistakes of omission. These are the insidious mistakes that come from not questioning your assumptions. Assumptions lie at the root of every decision you’ve made in your life. Oftentimes they’re preprogrammed into your psyche by genetics, environment, or people who were likely expressing fears pre-programmed into them. Living life from these pre-programmed assumptions is the root of zombie careerism. It’s dangerously lazy to accept your defaults without exerting serious mental effort to rethink them. At the end of this article, I suggest you take a few minutes to think through your limiting beliefs. There’s two major types of pre-programmed responses that are worth considering. The first type are the beliefs about how the world works that are programmed into you by society, parents, friends, teachers, or mentors. Your map of the world is drawn by a 100 people, on a 1000 days, with 10000 nudges. Perhaps, as happened with my wife, your parents had a bad experience operating their own restaurant. They didn’t have a mind for business and got into a business deal that ended poorly. This singular failure was passed onto my risk-averse wife through the difficulty she witnessed her parents going through. Another friend I have traced his limiting belief back to his dad who talked nostalgically about how one day he would open his own wood working shop. One day never came for him, but my friend inherited the distant hope that one day he’d be able to launch his own dream. One day is replaced by 10 years, and you get the origin of the 10 Year Myth perpetuated by Jeff above. The second set of defaults to be aware of are psychological heuristics. Heuristics are the biases inside every human mind. One example is the heuristic of Loss Aversion. Loss Aversion is the idea is that humans tend to be illogical about risk. The average person would rather avoid losing $10 than gaining $10. If both loss and gain were valued equally, then a human should value losing $10 and gaining $10 equally. This isn’t the case. Some studies suggest that people have a roughly two times higher sense of loss aversion than a desire to gain. That means losing $100 hurts twice as much as the positive feeling from gaining $100. This also means that people are twice as likely to hold onto a job they hate over quitting to pursue their MASSIVE soul dream. This loss aversion becomes an ankle chain tethering fearful people to their corporate cubicle. The average human psyche is illogically averse to taking risks. To be exceptional, you can’t be. 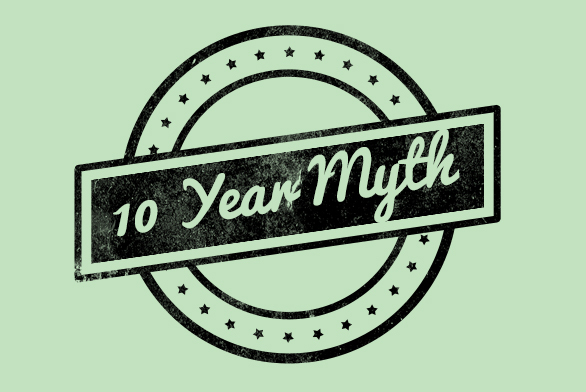 10 Year Myth: I will launch my business in ten years after I have more experience. There is an insane idea that smart, college educated, wantrepreneurs tell me all the time. They believe the safe way to become an entrepreneur is to work at your current job, learn the trade for 10 years, then launch your business. The 10 yr time barrier is a common insidious example of a default barrier. Saying, “In ten years, I would like to live my dreams,” surrenders your most valuable asset, TIME. Is this job worth the best 10 years of your life? I love the question that Peter Thiel asks: How can I achieve my ten year plan in the next 6 months? The two major problems with the 10 year myth are the opportunity cost of your time and mistaking career-knowledge for entrepreneur knowledge. Opportunity Cost: From a business perspective, everything is spelled out in terms of opportunity cost. If you choose to spend the next 10 years working at something that isn’t in line with your long-term purpose, the risk is that you waste a large part of your life for no reason. Time is a nasty thing to waste, because it is so easily overlooked. Wrong Knowledge: The type of knowledge you get working in an industry often doesn’t translate into become a successful entrepreneur. Think about it. Anything you can learn in an industry, you can also hire someone who already knows. Since this is true, what skillset and knowledge really matters for an entrepreneur? What you need as an entrepreneur is the ability to see a vision, motivate yourself to take action, and bring together a business from nothing. This begins with the skillset of dreaming, taking action towards an uncertain dream, motivating yourself every day, and ultimately making sales. You only begin to learn this skillset when you start doing it. Start launching products, websites, services… There are smart ways to launch small, so that you don’t have to quit your job right away, but you’ve got to take action right away. If you’re not taking the actions now to achieve your dreams, you won’t be ready in ten, fifteen, or fifty years. Instead, you’ll be infected by a zombie career, and that sparkle in your eye will die a slow death in cubicle prison. I want to discuss three more shackles I’ve seen hold people back: The New Idea Myth, The Big Spender Myth, and The-Build-It-and-They-Will-Come Myth. a new patent, or a new service, but it always costs a lot on the front end in time and money. Big Spender Myth: You need to have a lot of money or investors in order to launch your new business. I didn’t spend any extra money launching my Internet Marketing business. No office, no advertising, no overhead. Neither should you. Build-it-and-They-Will-Come Myth: Another myth that wantrepreneurs believe is that all you have to do is to build a product or service and the sales happen on their own. Sales are the HARD part, and should be considered first. These three barriers together become arm and leg shackles to many people locked up in cubicle prison. One of the worst mistakes I see is that people think they need to have something new, different, or interesting. This causes them to BLOW UP the idea stage like a balloon full of hot air. The problem with this myth is that the idea is valued above the execution of the idea. Sadly, good ideas are worthless without action. That reminds me of Marla. I can’t help but remember her plight. She was a would-be-entrepreneur who was in her early 40’s and sitting helpless, shackled in cubicle prison. She had a ton of ideas for products, inventions, businesses… you name a problem and she’d dream up a solution! However, she’d get to the point of calling a patent attorney, then give-up when she got a $10,000 price tag. 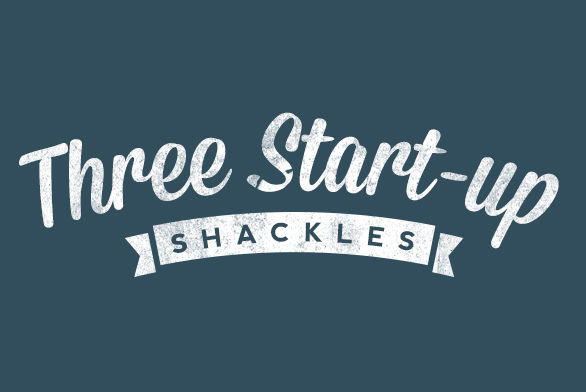 These shackles become a HUGE barrier for you to climb over in order to launch your business. There’s a problem inherent in the way wantrepreneurs think about their ideas. They spend a huge amount of time, passion, and money developing the high tech app, nifty gadget, or writing their book before understanding the market deeply. The fact is that in a safe out-of-the-market position you don’t have a good gut feeling for the customer. Instead of developing a product for their customer, they make a product based on what they’re passionate about. Oftentimes this ends poorly. In the worst cases they start dumping money into patents and product designs for things they’ll never sell. If you do this, oftentimes you’re talking about a $10,000+ cost with nothing to show for it. They get to the point of creating their perfect product, but when they try to sell it NO ONE WANTS IT. The reality crushes them and kills their dream. Don’t get sucked into this death vortex. Instead, sell early. Talk to your customers. Meet them. Get to know their problems. Then let your precious idea morph into something your customers will love. Selling to a marketplace forces you to become intimate with your customers. It aligns your gut feelings to the marketplace, and vets your bad ideas. Entrepreneurs oftentimes go through 1-2 failures up-front before they understand the market. 1. Minimum Viable Product: Start with the quickest, cheapest protoype you can try out to get meaningful information about your market and customer. If your idea is hard to develop try story boarding the idea and pitching it to ideal customers. This is what the founder of Mint.com did before launching their software service. Also, ignore all the business stuff until you start making real money. Figure out what the least you can do today to start trying to sell something to a customer. 2. Month Long Experiments: Try planning out entrepreneurial experiments that last for 1 month. Each sprint should be designed to fail forward. If it’s your first time, expect to fail 6 times before finding your first major success. 3. 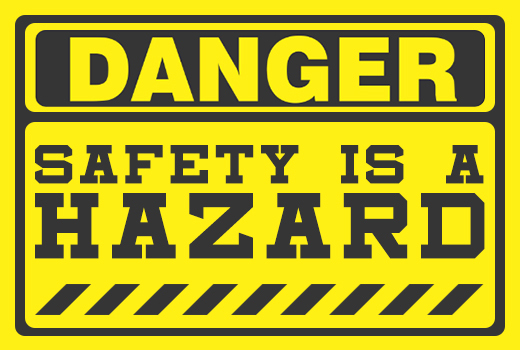 Identify BIG Risks and Mitigate: When you look at your plan, find the riskiest assumptions and riskiest decision points. If you need to rent a store before you can try out your concept, break that large commitment into a few smaller commitments. Try selling your products at a farmers market. Try selling in another person’s store before committing to a year-long lease. 4. Find Mentors and Mimic Competitors: Try to find people who did similar things to what you want to do and soak up their advice. If you can’t find mentors, start by mimicking successful competitors. By copying what worked for your competitors you’ll be able to have a solid starting place that’s been tested in the market. 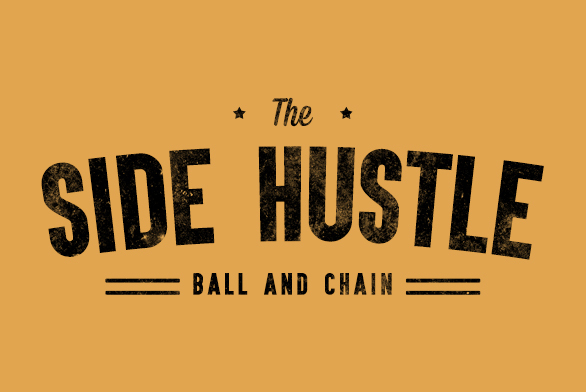 Side Hustle Myth: The best option is to work on a side business until it builds up enough income so you can quit your main job. The problem is that side hustles are less profitable and more competitive than full time work. As a part time entrepreneur you’re going to have a hard time competing with full-time employees. Startiing off, your full time job is going to take up your most productive time each week. This means you’ll have to be VERY disciplined using this approach. You’ll be balancing the pressures of family, friends, and children while still having to consistently put time each week into building your business. Some people simply can’t do this. Let’s say you’ve got the right personality. You’re someone who can consistently motivate yourself to set work 10-20 extra hours every week to achieve your dreams. Even with all that motivation and hard work this is still going to be a beast of a transition. Take a minute to calculate the cost hurdle you’ll have to overcome in order make a seamless transition from your full-time job to owning your own business. In order to meet the bar of paying all my bills comfortably, I had about a $3500/mo hurdle to overcome (single people or people with working spouses will likely have a lower bar). Don’t forget to add in your 20%+ income tax burden. Once I could make $3500/month in a side hustle I could afford to leave my job, and work for myself full time. That means I would need to be able to make about $53/hr for 15 hrs per week. Starting a side business puts your business at a disadvantage to all your competitors. You’re competing against people putting in a full 40 hour work week each week to accomplish what you’re trying to do in a quarter of the time. Sure you’re better and more motivated then them… but are you 4 times as good? Kinda feels like you’re dragging a ball and chain huh? During my time in cubicle prison, I met numerous zombie-careerist who had side hustles and held onto the myth that one day their side hustles would achieve critical mass and push them out of their jail cells. I’m not surprised that I haven’t heard of any of them achieving their jail break. Don’t get me wrong… these unicorns exist. Pat Flynn is a great example. However, they’re the exceptions to the rule. Sally had the unfortunate situation of getting involved in network marketing. She sold nutrition supplements to her friends. She loved the supplements and really believed in them. To her this seemed like a great option to make some extra money on the side and hopefully build herself a full-time business. If you’re trying to make a couple bucks on the side, this type of network marketing is great. That wasn’t Sally’s goal. She was using in-person sales to sell low-ticket items. This is fine when you’re not adding any extra time to your day. If you have a product you believe in and offer it to your friends, then there’s no extra time spent making a few hundred dollars a month. However, the problem came when Sally decided she wanted to become a full-time entrepreneur using this technique. Notice the problem? Hustle all you want, but at $8/hr you won’t get ahead. Even if you can find a better side-hustle you’ll take 5 years to accomplish what you can accomplish in 1 year of full time entrepreneurship. The real problem is the insidious poison of the ball and chain. Once you spend 5-10 years building a side hustle that brings in substantial income, you’ve likely already been infected by your zombie career. At this point your side-hustle has transitioned from an expression of your dream lifestyle to another nice stream of income. This happened to a friendly zombie named Jim. He was 20 years into a government career and had a side-hustle of rental houses that had more than replaced his government salary. However, he didn’t want to give up the health benefits and pension of his zombie career. Simple math told me he could make substantially more and easily replace the job benefits and pension doing his side-hustle full time. It didn’t matter. He’d been infected, and he’ll never leave. Bottom Line: Side hustles are important in the training stage of your launch, but if you wait until your side hustle gives you a comfortable transition into entrepreneurship, you’ll be waiting until retirement. Action: Take a few minutes right now and write out your limiting beliefs. What barriers do you see that stop you from living your dream life? Next, write out a month long entrepreneurial experiment you can run along to move towards your dream life. Join me for next week’s post ____________________ and read next week’s post. I post a new article every Monday morning. What are some limiting beliefs that you overcame? Let me know in the comments!